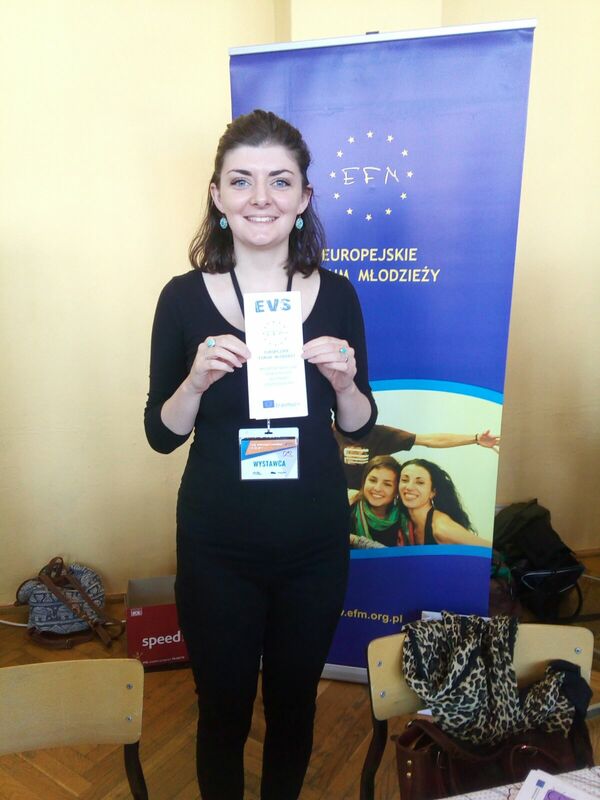 To support National Agencies of Erasmus + Programme and the Eurodesk network in organized events connected with the celebration of the 20 years of of European Voluntary Service, EFM has developed the project “World around us – EVS in YOUr town”, whose main objective was to include the wide promotion of European Voluntary Service and the Erasmus+ Programme in all regions of Poland. 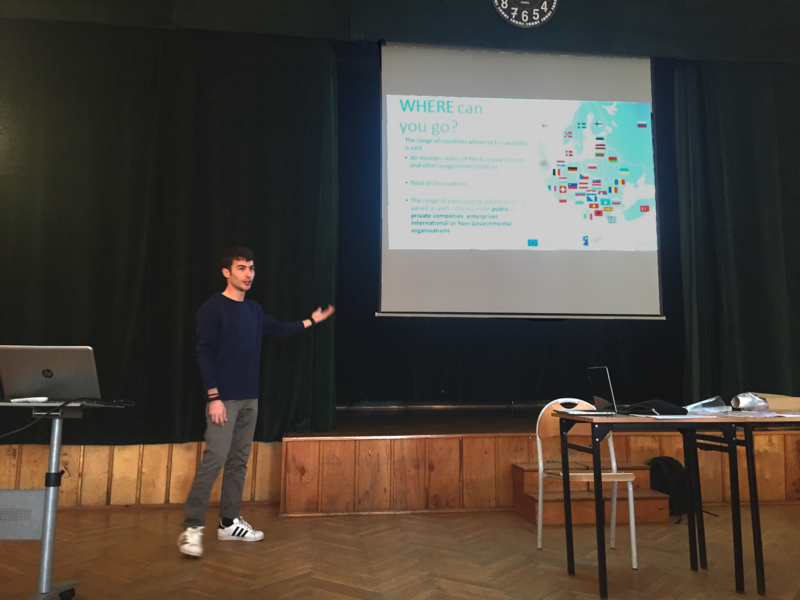 “World around us – EVS in YOUr town” was a two years project that allowed youngsters from different countries to come to Poland and take advantage of an unforgettable experience! On the other hand, it also allowed numerous Polish youngsters to get to know, interact, speak and learn from them. In a frame of the “World around us – EVS in YOUr town” project, we have included a total number of 12 young people from Great Britain, Italy, Germany, Spain, Finland and France in the implementation of 3, 5 and 6 months EVS activities in Kłodzko region, as well as the entire Poland, which gave the engaged youngsters the opportunity of alternative path to self-development. Over the duration of the project and by the arrival of the EVS volunteers to our place we notice an interesting fact: they were here to develop themselves, learn more about NGO’s, know people from different places and cultures, but mostly to get a better understanding regarding their own future. 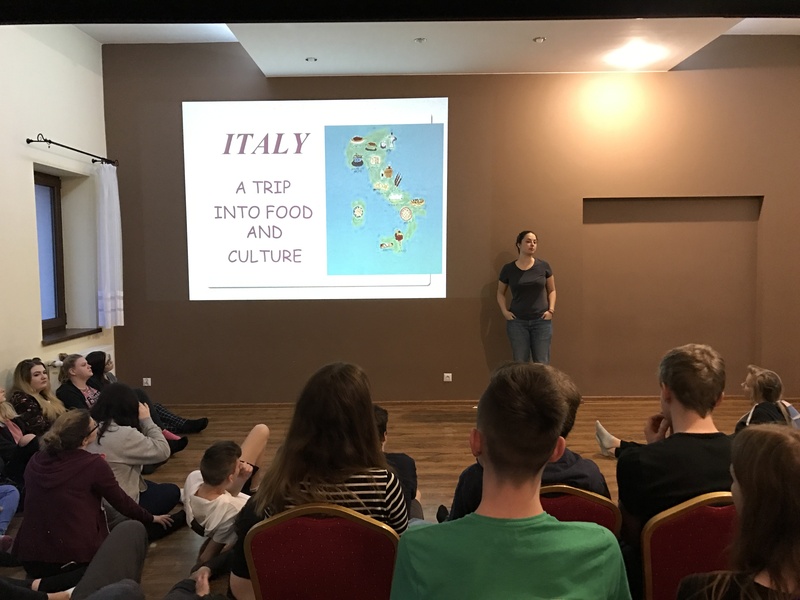 All project activities, regardless their duration, allowed the involved youth to develop language competences, break the interpersonal barriers and to learn about different cultures and customs. Young people with fewer opportunities who took part in our project received a unique chance of being in a international group (both at their activities and during their free time), for whom this was the first such experience in life. In addition, they were able to exchange views, experiences and skills, learning mutual respect for themselves and others. But, what really happens during the project? 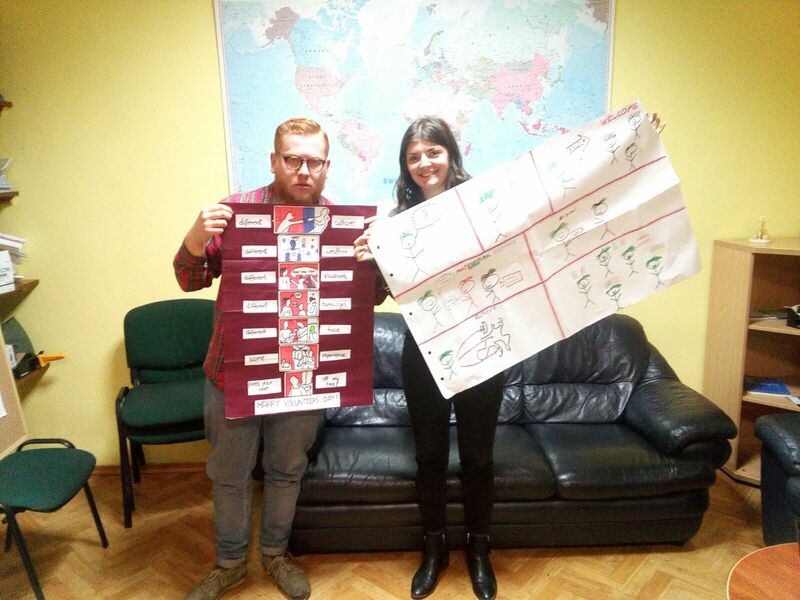 Volunteers were supporting in normal EFM office daily activities such as preparing articles, completing databases, researching on specific subjects for the workshops, preparing materials for EFM activities, translating articles or preparing subtitles for EFM videos. Going to different schools in Kłodzko valley, meeting different youngsters, learning and practicing non-formal educational methods, breaking stereotypes, sharing their own culture and knowing Polish culture through Polish youngsters, promoting and explaining Erasmus+ programmes to Polish youth. 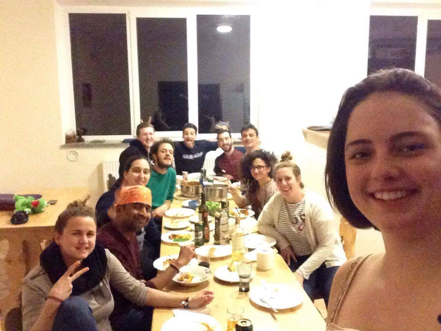 By living in Długopole Górne, volunteers experienced life in Poland at it’s full aspects. From the BUS driver to the shop sellers, from the student to the teachers and, of course, our office. Some volunteers had also the chance of have language conversations with Poles willing to learn/develop English language skills. By taking advantage of our privileged location in Europe, most of the free time was used by the volunteers to travel. 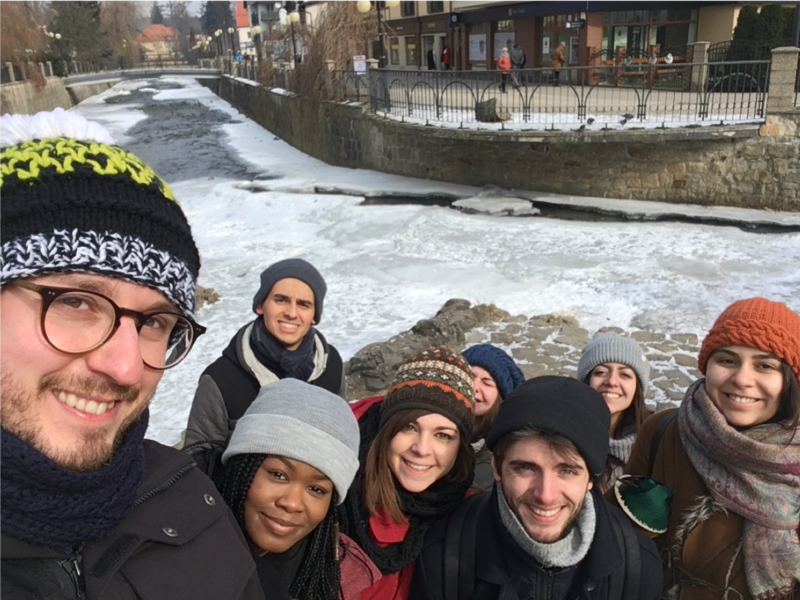 Praha, Berlin, Vienna, are some of the cities most visited by our EVS volunteers, as well as many places in Poland, with Wrocław as the main visit place. The daily life in an organisation can be quite surprising when you’re not used to it. Sometimes you’ll have a quiet and soft day and other times it seems like the day just went on a blink and you just stoped at the end. By being hosted as a volunteer in EFM, volunteers had the chance to experience all of it. 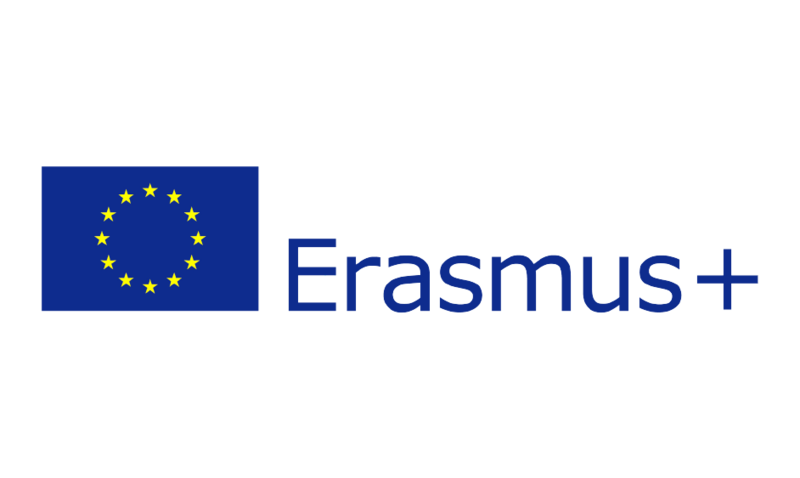 From the office normal activities, to a seminar, a training, a school visit, an international day at the Museum, workshops at YouthMaSter Development Academy or to the promotion of Erasmus+ programme in a school. Of course, much of it depended on their willing and/or abilities. For me, work has always been something of a competition. I put myself against certain targets and goals and strive to reach and surpass them again and again. I put pressure on myself, create deadlines and always aim for perfection. Working for EFM has allowed me to see that this doesn’t need to be the case. My project and mentors have already given me space to be creative, to do a wide variety of tasks and to learn new skills. In the EFM office, I learnt how to format website designs, correct translations and come up with new ideas for social media. 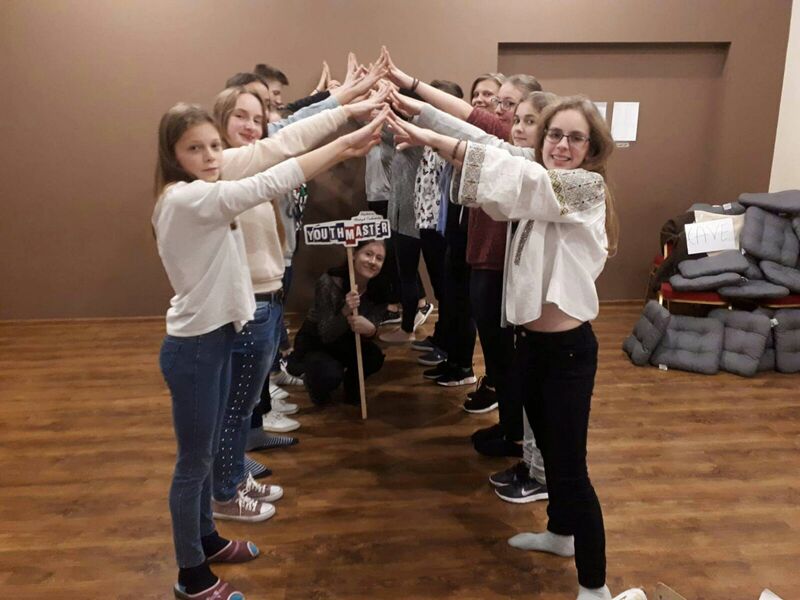 In YouthMaSter, the language camp for Polish teens, I have discovered the benefits of non-formal education and have been given new responsibilities to create workshops and games for the future. In my two schools in Bystrzyca and Kłodzko I have worked with some truly wonderful students and introduced them to my country and culture. Working here in Poland has been different from one day to the next. Whilst sometimes I have felt unsure of my role, it has forced me to be flexible, creative and open to new ideas. The main part and the absolutely best part of my work is the work at the „YouthMaSter“ Seminars. 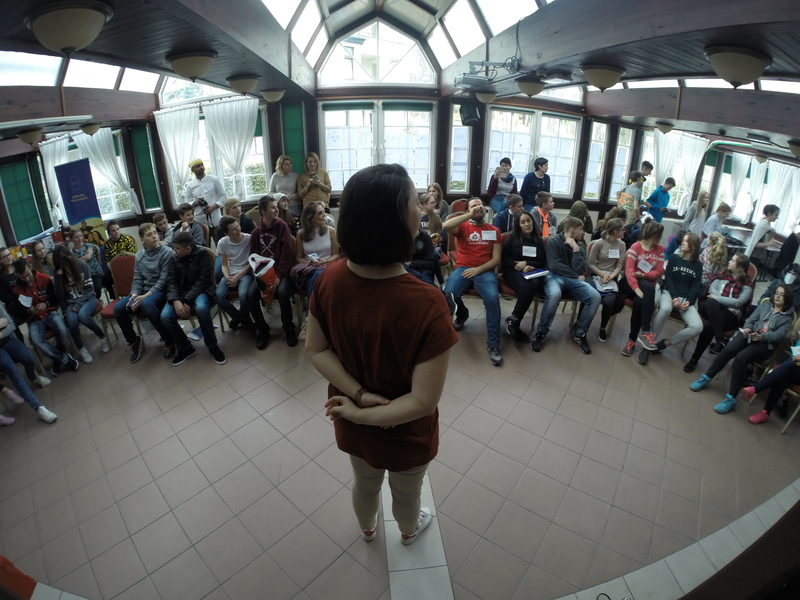 On those Seminars we help Youngsters from all across Poland to develop their English skills with the use of different Workshops and Games. The amazing thing about this is that the Participants see a little bit of a role model in you and they actually appreciate the work our Team puts into those those Seminars.The other half of my work is in the EFM office where I help the workers to prepare things for the „YouthMaster“-Seminars or help them with databases to find new partners for their projects. 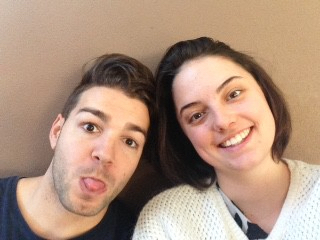 I have also been on a school visit with another Volunteer (Rebecca) in a city with the wonderful name „Szczynta“. There we did some of the Workshops we learned at the Seminars and showed the kids the Presentation of our Countries. Also, I am looking forward to start working in a school in Bystrzyca Kłodzka. 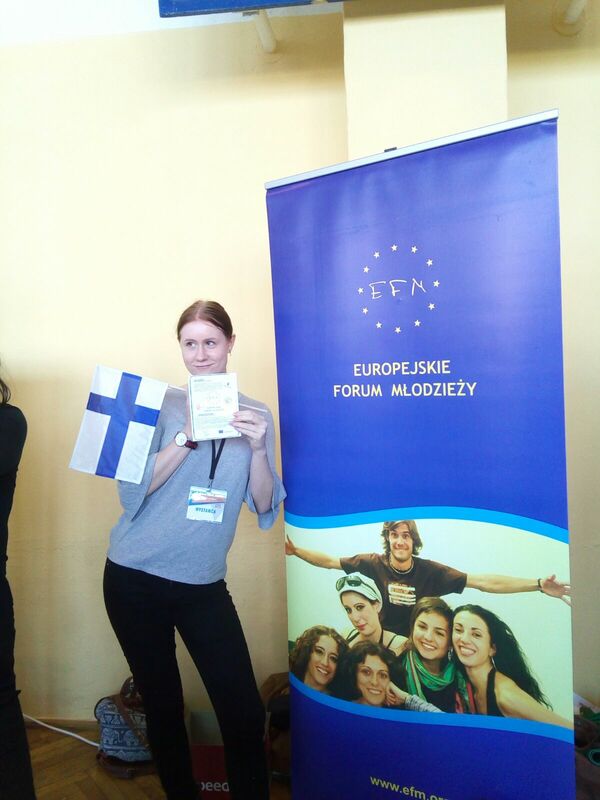 Europejskie Forum Młodziezy, as an organization particularly experienced in the implementation of many EVS projects and cooperating with a large number of educational institutions, carried out the promotion of EVS and Erasmus+ Programme on a large scale, combined with free workshops in the field of intercultural issues and activities of the EU, as well as the impact of today’s media on public opinion in selected educational institutions throughout the whole Poland. 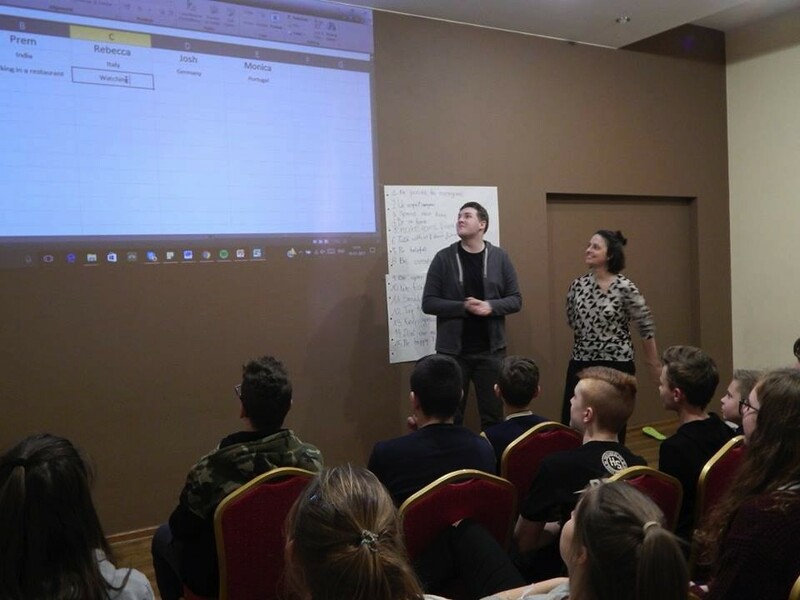 Together with the foreign volunteers hosted in the frame of our project we made contact with more than 40 educational institutions, which are cooperating with young people coming from different backgrounds and having different economic and financial situation. 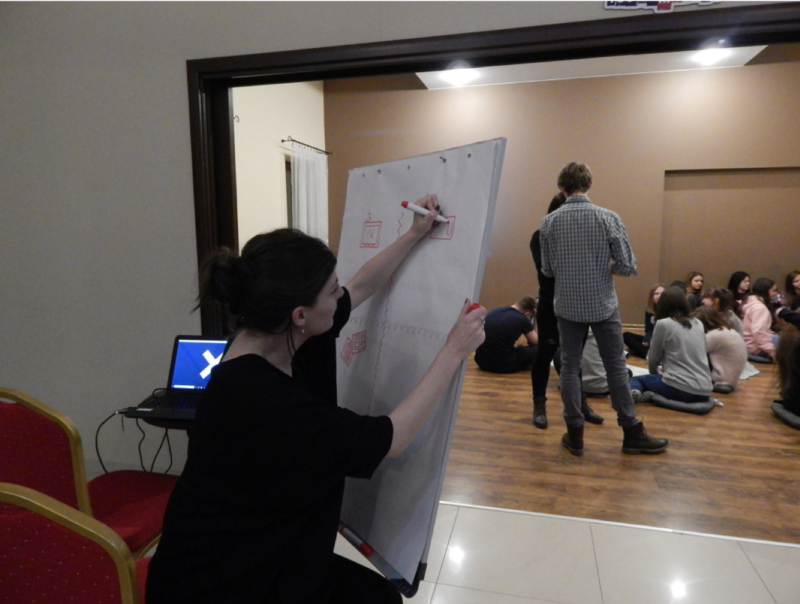 These actions helped us to start a dialogue between the foreign volunteers, polish youth and the representatives of educational institutions in different regions of Poland. This allowed the the creation of special additional activities and/or youth clubs dedicated to intercultural issues of the EU, the impact of today’s media (especially Internet) on the views of young people in relation to migration and emigration, supporting them to build their own opinions, regardless of the media. Every project brings us the possibility to explore new things, discover new realities, exchange different ideas and build something useful. Amongst other things, Volunteering (like almost everything in life) requires will, openness, resilience, and the projects are as successful as this elements will be in all the involved parts. 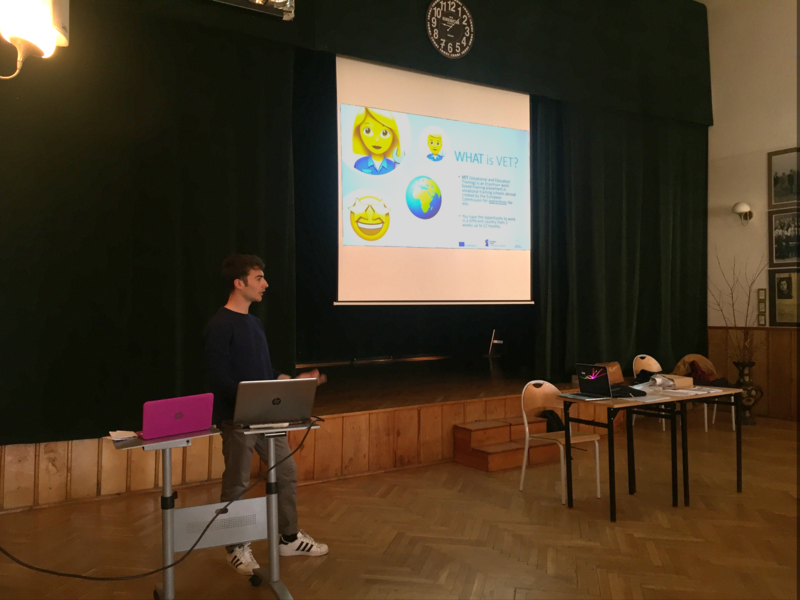 At the end of “World around us – EVS in YOUr Town”, some volunteers found out more about themselves, others discovered what they want to do in the future, others what they definitely don’t want to do. Either way, we all grown and developed in our experience, learned with the mistakes, enriched our knowledge and endured in our strengths. “[…] More broadly, when thinking about myself living in a different culture, I would say I have definitely adapted to Polish culture and in fact I have developed a fondness for it. Unlike many other volunteers I did not return home over Christmas, which was the first Christmas that I didn’t spend with my family and at home in England. I am very happy that I chose to stay in Poland over the holidays as it allowed me to see and experience more. Add to this both the on-arrival training and the mid-term training and other shorter weekend trips and I think I have seen quite a lot of different towns and cities in Poland. […] […] When I do return to the U.K I feel it will be important to share my overwhelmingly positive experience of Poland with others in an effort to combat prevalent negative stereotypes about Poland’s culture, politics and people. […] […] I know that people’s prejudices to people from other cultures isn’t a new phenomenon, but as such negative views and attitudes are growing, the importance of programmes such as EVS, which help to foster inter-cultural understanding and exchange, cannot be understated. Even by the simple fact of being present in a different culture for a prolonged period of time positively impacts you, making you more open-minded and leading you to be more aware of difference in the world. Fear and prejudice have their roots in ignorance and mis-understanding and I firmly believe that the only way to prevent these attitudes from being carried into the future generations is education. “[…] I arrived in Poland in the beginning of September in Byztrzyca Klodzka, a small village in the south of Poland, for seven months. I use to live there with other volunteers from all around Europe and other countries in a small melting pot, with people discovering others and their culture, from the first to the last day. Discover and talk to each other, cook, eat, play, travel or simply watch movies together was a daily life experience. It’s a good way to get to be close to each other, with living the same experiences and having the same feelings about it. “[…] A small portion of my time was also dedicated to preparing for the biweekly English conversation classes that I delivered for one month with a member of the local community. The preparation was not very demanding time as we agreed on the learning points for the upcoming session at the end of each session. Hence, I used this time to find the appropriate resources and prepare. I had to prepare materials and converse with her about her aims and what she felt she could handle. We made a good team when working towards short-term goals as part of a long-term goal. It was rewarding to be able to see her progress as the sessions progressed. […] For me, my time in the office did not feel very productive as it felt as though there was no need for me to be there. There were moments when I had other small activities/tasks (proofreading, creating a presentation, selecting energisers in the weeks we had youthMAster) to complete. However, when comparing the proportion of time spent on those tasks and the moments without tasks, more time was spent without tasks. I had hoped that as I would be volunteering in a smaller NGO, there would be plenty of opportunities to get involved in various activities. I had hoped that I would not only learn more but do more and help more. It was because of this, the office was the most frustrating part of my project as I felt there was no need for my presence as a volunteer. It was where I felt most in limbo, lost and useless. 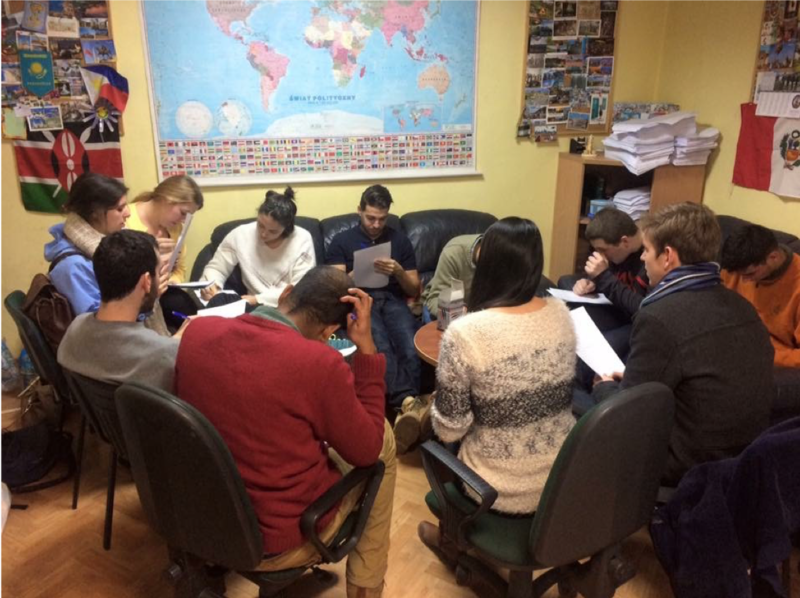 On the contrary, a more interesting part of the office was the Polish lessons. I had polish lessons twice a week if it was possible. The lessons covered some topics that provided me with the baseline vocabulary to navigate and cope with the daily life as a volunteer. The lessons were engaging and interesting. They helped to bridge the gap between myself and the new environment I was in. Also, being located in a village and volunteering in the neighbouring town, it was imperative to at least have a minimal understanding or ability to speak some Polish. 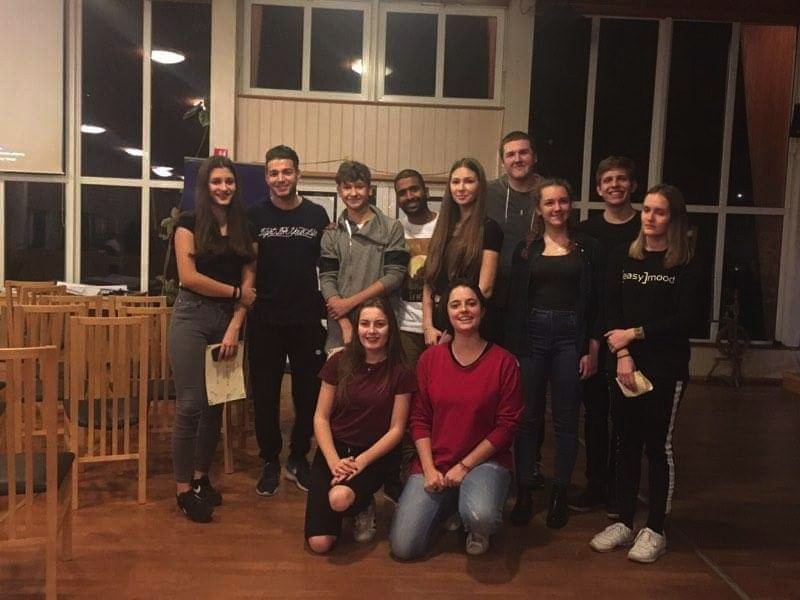 Whilst my ability to speak polish is still very limited, it was an interesting experience to learn new words and utilise consonants that are not particularly present in the English language. 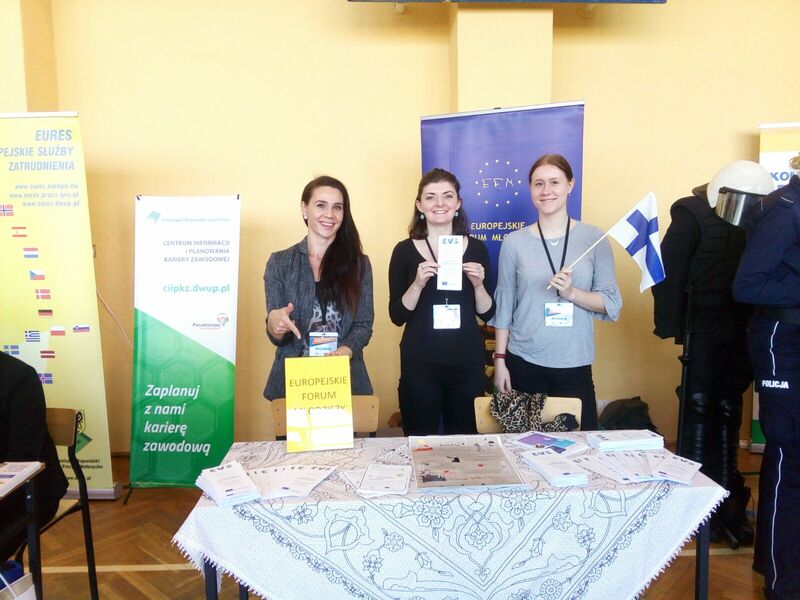 You can know more about this EVS project by reading the articles of our blog bellow, written by the volunteers that took part on it. This page resumes a project and the information contained in it is a combination of EFM materials, opinions and thoughts and volunteers opinions and thoughts (from articles and reports done during their EVS project with EFM). The pictures were either taken by EFM staff or provided by the volunteers.